I am Lighting Certified by the NCQLP, have a bachelor’s degree in industrial design and like to mesh the basic principles of the two. I've been in the lighting field for over 8 years and have grown with all of the newest technologies and latest developments. I always encourage a better understanding of lighting principles and functions. I feel that lighting is the single most important component to a successful design whether it be architectural or product based. A proper lighting scheme creates shadow, reveals texture, defines the tempo and sets the rhythm of a space. 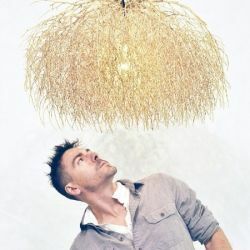 I am inspired by some of the great lighting designers such as Achille Castiglioni, Ingo Maurer and Louis Poulsen. I pay attention to the subtleties of the world around me, hand picking inspiration from it. Light designer for Lightlite LLC. Contract work for Nike in the Timing/Tech sector, Environmental research for Intelligent Design, Lighting planner at Lux Lighting.